The Beverly Ho-Billies are back, b*tches! 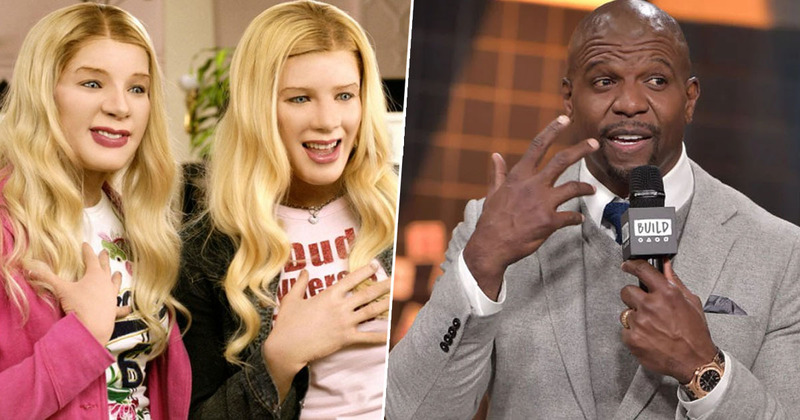 And it looks like Terry Crews is down to join them in a White Chicks sequel. During the America’s Got Talent Season 14 red carpet kickoff at the Pasadena Civic Auditorium earlier this week, Crews said he was all up for another go at playing basketball star Latrell Spencer. No mention of Vanessa Carlton, as of yet, but all remains to be seen. Marlon Wayans recently confirmed he and his co-creators are in talks for a White Chicks sequel, much to the joy of the film’s cult following. Wayans also discussed the possibility of a sequel during an appearance on MTV’s TRL in March 2018. The narrative follows two disgraced FBI agents go way undercover in an effort to protect hotel heiresses – the Wilson Sisters – from a kidnapping plot, with humour some describe as ‘silly’ and ‘obvious’. One commentator exclaimed: ‘Nooooooo, leave it alone. First one is a classic and we don’t need a disappointment lol’. The first installment was released over a decade ago, in 2004. Maybe we’ll see if the undercover cop concept still has legs in the current climate.